Starting a high-charging company or sorting out the employment landscape as a newly-landed executive? 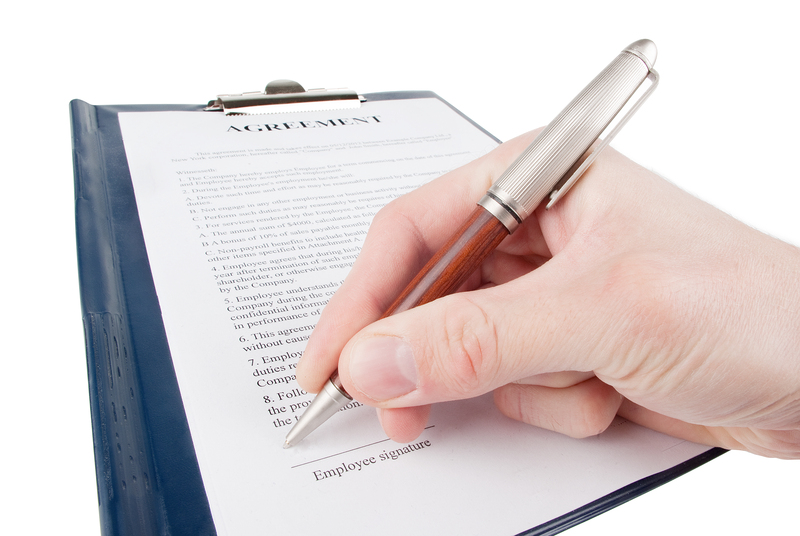 Here are 10 essential employment-related agreements you’ll want to be familiar with. 1) Offer Letter. This is the initial offer of employment to a future employee. The letter should state the individual’s title, compensation, chief benefits (such as vacation time and 401(k)), intended start date and other basic facts. If the offer of employment is subject to certain conditions – generally they are – these should be outlined in the letter. These may include work authorization, background checks and drug screening, as well as (in some cases) agreement to be bound by certain contracts or employee handbooks. Generally an executive or other employee who receives an offer subject to a noncompete would be well-advised to ask for a copy of the agreement and read it, preferably with an attorney, prior to accepting the position. Note, however, that in certain jurisdictions a noncompete that is not presented prior to employment is not binding. 2) Employment Agreement. Although some companies use these indiscriminately, the most savvy among them save employment agreements for top employees who have the leverage to require them. Some employment agreements are rather basic documents that simply spell out the terms of the job. Others are complex, lengthy documents that include terms such as severance payments upon a termination with or without cause or change of control. All employment agreements should spell out the basic terms, such as duties, base and bonus compensation and length of guaranteed employment (if any) with relevant conditions attached. Employment agreements may also contain noncompete, non-solicit, confidentiality and other provisions, explained below. 3) Consulting Agreement. Consulting agreements are, as the name suggests, used to employ consultants on a long-term or temporary basis. At times, an individual may be an employee at one company and a consultant at an affiliated entity, and the consulting agreement serves to document the additional relationship and any related compensation. A consulting agreement should clearly spell out the services to be rendered, how they shall be delivered, what fees shall be paid and on what basis (e.g., hourly or monthly, upon receipt of an invoice or other time period) and the manner that the consulting arrangement can be terminated by either party. The agreement should also contain language that the consultant cannot bind the company, that he or she is an independent contractor responsible for deductions and taxes and similar provisions. Businesses should consider carefully whether an individual taken on as a “consultant” or other “independent contractor” would not likely be recharacterized as an “employee”, as the financial penalties of failing to pay employment taxes and other consequences can be substantial. This is especially true if the business intends to operate solely through independent contractors and essentially treats them as employees (controlling scheduling, requiring services to be delivered on-site and other employment aspects). 4) Noncompete. Non-competition agreements or provisions are restrictive covenants that prohibit an employee from engaging in a competing activity. Their effectiveness depends on many factors, including the law of the controlling jurisdiction. In jurisdictions that tend to uphold noncompetes, whether as written or as modified (reduced in scope) by the court, two main factors are the length of the restriction and the geographic scope. Of all employment-related agreements, noncompetes can be the most complex and restrictive. Therefore, they are the most important to read and understand before signing. Note: I do not give the above guidance lightly, as I have occasionally seen highly-educated, highly-paid individuals simply sign noncompetes and other restrictive covenants without even reading them. Not a smart thing to do, especially in this economy! 5) Non-solicitation. Non-solicit provisions – these are usually part of a larger agreement – restrict an executive or other employee from recruiting or hiring individuals from a current employer on behalf of a third party. They can also restrict other forms of “solicitation”, such as soliciting customers, investors or business opportunities. Since non-solicitation provisions do not “restrain employment” they can be easier to enforce in the courts than non-competition clauses. 6) Confidentiality. A confidentiality agreement is designed to keep non-public information from entering into the public domain. Generally there is no term or end date on the time period that the information needs to be kept confidential, as long as it has not become public (generally or known within the relevant industry) through no fault of the person receiving the confidential information. This is especially true in the case of trade secrets, which by their nature must remain confidential to retain their value. 7) Work for Hire and Assignment of Inventions. Intellectual property, such as copyrights, generally belong to the employer absent a special agreement to the contrary. This is not true in certain contexts where the creation is entirely unrelated to an individual’s work assignment (e.g., if an engineer in charge of quality control wrote a Broadway play in his or her spare time.) For independent contractors (ICs), work for hire and assignment provisions should be in place to delineate who owns any non-tangible property that the IC has created for a company. In some cases, the parties should draft carve outs for intellectual property (from copyrights to trading algorithms) that were created by an employee or consultant prior to employment if such individual wishes (with the company’s agreement) to retain as his or her property and license it for use, rather than transfer it, to the company with which he or she is employed or engaged. Provisions that assign ownership of any or certain intellectual property or inventions (i.e., assignment of inventions provisions) often accompany work for hire provisions, as a backstop to assure the rights of a company that expects work for hire provisions to uphold its ownership. 8) Indemnification. In the employment context, an indemnification agreement is offered to a key individual who may be exposed to liability under his or her fiduciary duties or for other reasons. A company should offer a broad indemnity as well as insurance to the individual to induce him or her to take on a role of responsibility. There are relatively standard provisions that should accompany all indemnities, although the language used to express them may vary, and these should be carefully drafted and/or reviewed. 9) Severance. In the case of top executives, severance terms may be agreed in advance at the time of employment or upon a promotion. For other employees, they may be extended upon termination. Severance agreements include, among other provisions, the amount of severance offered in lieu of the contracted notice period, any extension of benefits, a noncompete (if applicable) and a release. 10) Release. A company may ask for a release of all potential claims by an employee against the company in exchange for consideration offered. The consideration must be in addition to whatever money or property the employee was already entitled, and the amount will vary based on factors such as the employee’s regular compensation when employed. An employee should read a release agreement with care to ensure that he or she is not releasing claims that have already vested in the employee or would vest upon termination, such as vested stock that was part of a benefits package. There is an additional document – not an “agreement” per se – that is often critical in the employment relationship. This is the employee handbook. From an employer’s standpoint, once a small handful of employees is hired it is helpful to start putting company policies in place. At some point, based on size and other factors, an employee handbook is a veritable necessity. It should be acknowledged in writing by all employees upon employment and again upon each significant revision (or at least annually). From an employee’s standpoint, it is important to know that although a handbook is not an individual contract between each employer and employee, employees are bound by its terms. This short summary obviously does not cover all of the nuances of the above agreements. Nothing posted on this site constitutes legal advice or forms an attorney-client relationship. You should consult your attorney to discuss the facts of your situation. This is a public forum. Please do not post confidential information.